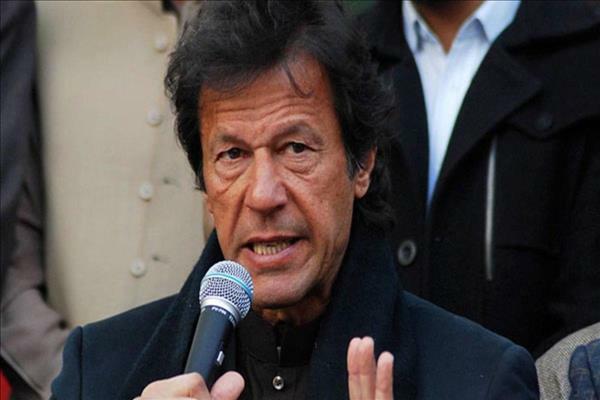 (MENAFN - Kashmir Observer) ISLAMABAD: Prime Minister Imran Khan will soon make a maiden visit to Tehran, which observers see as part of Pakistan's efforts to maintain a delicate balance in its ties with Iran and Saudi Arabia. 'The visit is expected to take place this month as dates are being worked out,' a senior Foreign Office official told The Express Tribune on Tuesday. However, apparent tensions triggered by border incidents and a militant attack targeting the Iranian Revolutionary Gguards in February prevented the two sides from finalising the visit. The friction has eased in recent weeks after Pakistan recovered the abducted Iranian border guards as well as assurance given by Prime Minister Imran to Iranian President Hassan Rowhani that Islamabad would not allow its soil to be used against the neighbouring country. In a recent interaction with a group of journalists, Iranian Ambassador Mehdi Honardost also confirmed the easing of tensions as the two sides agreed not to allow 'third parties' to undermine their longstanding relationship. The visit is seen as crucial as it comes against the backdrop of a visit by Saudi Crown Prince Muhammad Ben Salman to Islamabad in February. Relationship between Pakistan and Saudi Arabia has seen unprecedented warmth since the change of government in Islamabad with the prime minister making back to back visits to Riyadh soon after taking charge. The flurry of visits culminated with Saudi Arabia agreeing to give a bailout package for the Pakistan Tehreek-e-Insaf government to help it deal with the worsening economic crises. Not only that but Saudi Arabia's close ally, the United Arab Emirates (UAE), also extended a similar financial facility to Pakistan. But there have been concerns that in return for the 'generous support' Pakistan may join the anti-Iran camp. Tensions between Iran and Saudi Arabia have been running high for years because of their competing strategic interests in the Middle East and beyond. Pakistan; however, always tried to stay away from the Iran-Arab rivalry. Because of the same reason, the previous government led by Nawaz Sharif refused to become part of the Saudi-led military campaign in Yemen against Houthi rebels backed by Iran. Officials here said while Pakistan may have 'strategic relationship' with Saudi Arabia, at the same time it 'considers Iran as an important neighboring country'. 'Our close ties with Riyadh do not mean we will become part of any initiative that undermines Iran,' commented another official, adding that both Iran and Saudi Arabia 'understand Pakistan's approach'. Officials familiar with the agenda of the prime minister's upcoming visit said Imran would reiterate Pakistan's offer and call for unity among all the Muslim countries to deal with common challenges.